I have recently purchased both your Top End and Kimberleys books. They are brilliant and just what I was needing to plan our upcoming trip! I highly recommend them to anyone exploring these areas. We are heading your way in June/July. It's a long way from Brisbane, and Hubby only has 4 weeks off work. Given our time and our limited budget, we got cheap airfares to Darwin and from Adelaide, so I'm driving to Darwin with our gear, picking up Hubby and kids from there, then dropping them all back in Adelaide 28 days later. 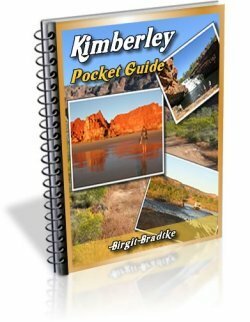 Our main focus is the Kimberleys, as hubby and kids haven't been there, but since it's close (sort of! ), we're also taking the kids to a few of our favourite NT destinations. We don't have time to explore further in the NT. I would love to hear your opinion of our planned trip. I have booked campgrounds at Broome/Middle Lagoon (the beach shack!) as it's peak season then, but nothing else yet. I'm open to changing any of this proposal with advice from you and other experienced readers! Day 6	Day at El Questro, springs, hire a boat? Explore? Day 12	Spare day up our sleeve to use in previous days …. Day 14	Camel ride/Relaxing day…. That's it, whack the kids and Hubby on the plane, and I'll drive all our gear back home again! I would love to hear what you think of this plan! I think I'm impressed! For one I am impressed with your willingness to do that huge amount of driving by yourself to enable your kids and Hubby to get the most out of the time Hubby can get off. Good on ya! Secondly I am impressed because you have obviously done your homework. There is only one day that I think is not ideal, and that's day 8 at the Mitchell Falls. We rarely get going as early in the morning as we plan to, and depending on the state of the road the drive up to the falls can be well over two hours, up to three. So you might not start your walk before 10 am. I think it would be a shame to walk in with an eye on the watch, and possibly never getting down to the Mitchell Falls themselves. Your program would be nice for fit adults who walk down and then take the helicopter back (or the other way round). But not so nice for kids and without a helicopter. I also think, even though it is a long walk all up, it is one that you could get the kids interested in, because there are several places to swim, with plenty of rocks to climb and explore, along the way. Your kids will definitely want to spend time above and underneath little Mertens Falls, then there is another pool (a bit off the main track but if you listen for the water you'll find it) a bit further on. Mertens Gorge is not so good for swimming, but just a bit further on is the main river crossing, with big pools and more rapids upstream, so you can have another extended swim break, either before or after you see the main falls. The alternative of course would be to skip it altogether, and spend the time at other gorges along the Gibb. Your last week in the NT might end up being a bit of an anti-climax. I guess you've done it before so you know that there isn't much to look at from the back of the car... Lots and lots of driving, no swimming, at Uluru and in Alice lots of tour busses and half of Tokyo... But Coober Pedy should be fun for the kids. And you have planned it all very well. It's all very reasonable. It just won't be able to beat the first three weeks :-). Last but not least, thank you very much for the kind words! Glad the guides could help with this plan :-). I did allow an extra day somewhere in the Gibb River area, so it looks like we'll use it on the way to Mitchell Falls and stay there 2 nights to allow that full day there. Yes, I think the kids will love the swimming! Originally we were going to miss it altogether, but everyone raves about it so much. I know the central Australia bit of our trip is VERY boring, but since we'll be that far from home, Uluru was (sort of) on the way home, and the kids have been asking for years to go there. Hopefully we can make the boring bits fun for them! Thanks again, and if other readers have any other comments, including kid friendly tips anywhere we're going, all advice would be much appreciated! We are "Grey Nomads" and have traveled all the sites you mentioned during the past few years. My comment would be that your travel plans are far too ambitious to allow time to SEE and ENJOY any of your planned destinations. If you want to set a "Speed" record from A to B, fine. BUT if you want to see Australia, slow down and give yourselves enough time to actually ENJOY the experience! I would suggest you need more like 56 days to do even small justice to the places you have chosen. 1. Get real and take a hard look at your plans. 2. Redo your itinerary to HALF the distance. 3. Enjoy a holiday, relax NOT race, see the sights, feel the sights, smell the sights and give yourselves time to treasure the memories. Reducing to half won't get them there! How can they reduce this to half? They'd be stuck in Darwin and not see the Kimberley! I think given their circumstances this is better than sitting at home and waiting until they are grey nomads. We have kids too, and this trip seems quite reasonable. You sound like your family is as active as us, we did a similar trip last year. I recommend an extra day in Mitchell Falls as B mentioned. Middle Lagoon is nice too if you can add another day there (maybe your spare day?). Jackie, you mention you have seen NT yourself and just want to show the kids the best bits, I think Litchfield, Katherine Gorge and Uluru are the highlights our kids enjoyed the most, so that makes sense too, and all are quick, good to see you missed Kakadu, you really do need time there. Go for it. Don't wait until you are Grey Nomads. Lord knows we don't all make it that far in life! It all sounds brilliant Jackie! We will be passing you going the opposite direction @ the same time(Perth - Kimberley - NT - Perth) with kids and as ideal as it would be to stop & smell the roses at each destination. Time is of the essence and we will also be trying to do as much as we can appreciate in a limited time frame in these beautiful areas. Cheers for sharing your guide/time-line, we will be setting ours soon & you've just spurred us on. ENJOY. My husband's nickname is Tas, after the Tassie Devil because everything he does he zooms from here to there and back. It runs through our family's blood, even mine, not sure how that works. Gerry, appreciate your comments and yes, we will spend more time at Mitchell Falls/Middle Lagoon. Will go and book another night now! Thanks again! Jess, great to hear from another family. Would love to see you plans so please send them through and Birgit can post them up for us all. Let us know of anything we're missing that you find may be good for kids! We'd love to see the coast of WA sometime, maybe another crazy trip to the other side of the country in a few years! John and Lyn, I appreciate the time you took to comment. I think our ideal holidays are different! We are after a traveling holiday to see as much as we can, not a 'relaxing' 56 day holiday. Our family has ants in our pants and we are not ones to sit and smell the roses. I don't think our plan is THAT bad! How can we half the distance? To be honest, I can't see where we can chop. 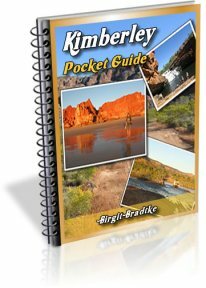 The Kimberley section (remember this is our main focus) is similar to many other itineraries posted here. Yes the drive to Uluru seems crazy but there isn't a lot to see along the way nor many options for camping. It's either do Uluru now or never, and I don't want to spend time anywhere else in Central Australia. The kids just want to see the big rock! Most of the 28 days we spend driving for the morning, then resting/exploring somewhere nice that afternoon, or vice versa. There are a few long driving days, but not too many. We travel lightly and can set up/decamp in 30 minutes (much quicker with 5 people helping) so we can be out of anywhere quite early on. We aren't ones to linger anywhere too long, preferring to explore a different place each day with a hike/swim and stay a little longer in special spots every so often. We did take our time in NT in 2000 (no kids - completely different trip). We have recently traveled with similarly paced itineraries (on steroids as you call it) through the US, Canada and NZ with our children, and we all absolutely loved these trips. When we retire we'll know which special places we want to return to and we can smell the roses whilst we rest our old bodies! Long time reader of this fantastic Website and love all the updates. Great work Birgit! We still talk of getting back up North as we either didn't see as much as we could have or missed it completely because of our tight time-frame. Just to compare, myself and my girlfriend spent 22 days up North in July August 2009. We didn't camp and stayed in caravan parks and Hotels. Quickly, we loved it all and will be back. We did a lot of the tourist things in each place but did not see enough. I do not believe we had nearly enough time and I am hoping that with 3 children under 10, you have a fantastic time. Good Luck. I hope you don't need it. Oh by the way, my girlfriend says that she would spend 6 months up that way if she could. No time is ever enough! Half of your trip is similar to when we went in 2000, although we didn't make it to the Kimberleys then, we just headed down to the centre, then on to Adelaide. I agree that no amount of time is ever long enough, it's a beautiful area. Our dream is to just sell the house, quit work and travel forever, but there's bills to pay with kids, so our dream is on hold for the next 10 years! Unfortunately our budget for accom/sightseeing is about $2000 for the 4 weeks, so helicopter flights for 5 of us at each destination is out of the question! Although I'm thinking of splurging on just me/my husband doing the cheap ride over the Bungles, was it worth it from the air? I've read it's best from the air. I appreciate your comments/itinery, hope others find it useful too. There can never be too many itineraries on here I reckon! Two nights at Mitchell Falls is a must. We did your trip in reverse from MELBOURNE last April and it can be done. It is however Bloody Hard Work but if you are anything like me the memories are still fresh and I still long to return. Our inexperience as first time travellers kept us more to the bitumen but we still camped and saw heaps. I disagree with Birgit only on one point and that is Alice Springs. 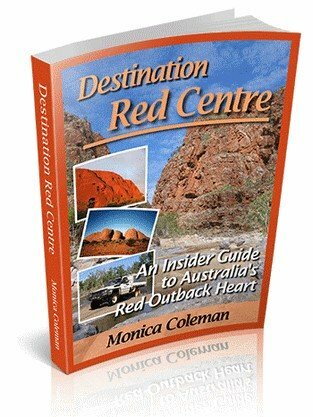 There are HEAPS of places to see in the East and West MacDonnell Ranges and quite a few swimming holes. Glen Helen Gorge was second only to Emma Gorge in the Kimberley in my experience. The Alice was not sporting any Japanese tourists when we were there, rather, it being Easter Tuesday, the shops were open and all the folk had come in from the camps to stock up. Oh the (indigenous) humanity. The Rock and Kata Tjuta were amazing as was the rim walk, complete with swim, at Kings Canyon. Is it possible to get in and out of Purnululu that quickly? We did not stay there instead had more time in Broome (4 nights) we also spent 4 nights in Kununurra and took the time to see Wyndham and a flight over the Bungles. You will LOVE Litchfield if course - we however found it a bit like the local pool in Melbourne on a 40 deg day at Florence and Buley Falls. Wangi was not open when we were there. DO take the time to walk around the top of Wangi Falls though. We also chickened out and skipped the Tanamai due to bad weather. We did the right thing in the end as there was heaps of rain and others reported an unplesant experience. You are travelling at a different time of year though. You could try Uluru straight through to Coober Pedy (750k day). Nothing at Erldunda as far as I remember! Oh and we got to fly home from Darwin at the end of out trip. My lovely parents flew to Darwin and had a holiday in our 4WD and camper and brought it home for us. Good Luck and Happy travels. You seem to be a very efficient, well organised family and for young(ish in our case) working families time can be pressing but we know that even though we did not get to see everything this time, we have every intention of going back again. You do and see what you can with the time you have got. It may not be everyone's cup of tea but we still managed to have a awe inspiring and family bonding time. Sounds a fantastic trip. Make sure you do take one of the cheaper flights over the Bungle Bungles. We did and it has become one of the main highlights of our trip, we drove from Perth to Darwin via Broome, Kununurra and Katherine in March/April 2010. Our flight took us down over the Ord irrigation scheme out to the Bungle Bungles and back via the Argyle Diamond mine - magic, especially as it was early morning and crystal clear. Travelling with young children can be magic, we did it (on perhaps a smaller scale than you) with our two lads for many years during each holiday and they are now repaying us by telling us what brilliant experiences they had. One has even gone into the travel industry himself! We are now greyhaired nomads ourselves and are doing things we always dreamt of in our younger days that we couldn't quite do with the lads when they were young as we couldn't afford them - still, making up for lost time now. Good luck, looking forward to hearing of your tales. Geoff, thanks for your note, we have amended our plan, we had an extra day up our sleeve, so will use it for Mitchell Falls, looks spectacular! Catherine, your blog is amazing. I highly recommend it to all other readers, has very detailed notes and great photos. Your trip sounds amazing, thanks for all your tips... Purnululu, we were just going to do the southern side of it so I think 1 night is enough for our family. Yes we could spend more time but then we'd have to leave something else. You're right, Alice has lots of nice gorges nearby, although I think we'll be all gorged out by then! We'll probably just have a rest there and relax in a pool somewhere. Erldunda has nothing, but thought it might break up our drive to Coober Pedy if we did a couple of hours late one day, then a 5/6 hour drive the next day. Again, nothing is booked so we'll see how we feel at the time. You're lucky someone else could drive the car home for you! Although I am expecting it to be very relaxing driving for such a long way with no kids in the back! I'm sort of looking forward to those long drives in a weird sort of way! Judy, I appreciate your comments and will put some money aside for the Bungles flight. Yes it's a magical time with kids, may be faster paced but we love it. The flight around the Bungles was amazing, from Kununurra we left about 8 and got back at 6. Nice in the morning with the rising sun but very hot on the way back. Landed at the airstrip and then took a guided tour around for most of the day. Cost about $1000 each and it was worth the money, although air con would have been nice and the flight back was ordinary, especially for the GF as she was stuck up the back of the aircraft, whilst I shot pictures in the co-pilot's seat. Definitely think it had to be done aerially too. The place is huge and we even paid the little extra for a 30 min helicopter flight around at the end of the day. The place is magnificent but because it is a long way away, I do not think I would return unless I was fully self sufficient in my later years. I wish you well and hope you are not too exhausted. Because we wanted to see so much whilst we were up there, we came back less than refreshed. Next time we will also sit and watch the world go past. Agree with extra time at Mitchell Plateau. If lucky you can get a great slide show and talk from the Ranger if staying overnight. The sun is so hot from those rocks with very little shade on the climb, better to do it early in the morning, more birds etc around then also. Have a great trip! Catherine, thanks for the address of your blog! I made it a live link. I think you misinterpreted my comment. Sorry if I wasn't clear enough. I did not mean to say there is nothing to look at in the area IF PEOPLE HAVE TIME. But Jackie's itinerary does not include the MacDonnells. Her itinerary means she will be driving, driving, driving, and not through the Macs. My comment addressed that choice, not the endless possibilities the area offers. To everyone else, I took Jackie's "ants in their pants" attitude, her obvious organisational talent and her experience into account when looking at the time frame of her itinerary, even though I myself MUCH prefer John and Lyn's approach. It was obvious that Jackie would not be deterred from her active, ambitious plan :-). And it is very doable. Hope that clarifies for everyone. Would hate for anyone to think I am dissing the Alice region. Far, far from it :-). We covered most of these areas last year as part of a big lap (husband and 3 kids age 11, 8 & 6) but took about 50 days to go from Broome through the Kimberley, up to Darwin and then back down through the Centre to Pt Augusta- and we did not do the Gibb River Road or any other 4WD tracks. Enjoy your trip. It will be an amazing experience for the whole family. When you visit Uluru you have to get a pass. When I was there a couple of years ago there was only one person issuing them, and this delayed the people behind them, some of whom we desperate to get out to 'The Rock' to see the sunrise. If this is still required, I suggest that you plan to get there earlier than you think you need to, so as not to miss out. Thanks again for all your tips! Mitchell Falls is definitely 2 nights now, have taken on board everyone's comments there! Thanks also for tip on Uluru pass. We are planning on leaving Alice in the morning and arriving early afternoon so we will head out and get our pass in the afternoon and see the sunset. Then go to bed early for the sunrise and we'll already have the pass in hand. The kids love sunsets/rises and are just starting to take their own photos when they see a good one, so I'm hoping they'll enjoy this aspect of Uluru too. Having done Melbourne to Perth to the Kimberley to Alice Springs and back to Melbourne in a 6 week trip, with two young teenagers, the one thing I learnt was to plan to have days off. The kids will appreciate a day where they don't have to get into the car and travel for hours. With what you've plan to see, in the time allocated, you need to move quickly and this is where things come undone. Two broken shockers on the road to Mitchell Falls was testament to going too fast. Don't forget to enjoy the scenery. If you're walking in Purnululu there are two must-do in my opinion. Echidna Gorge at midday is one - the gorge is only a meter wide in parts so only gets the direct sun at midday. The color has to be seen to be believed. The second is Cathedral Gorge. Breathtakingly beautiful! When we were there, there was just us and a guy with pan pipes hiding somewhere up in a crevice playing the most hauntingly beautiful music. We sat entranced for over an hour until a busload arrived with a guide who liked the sound of his own voice too much and spoiled the whole thing. But that hour was magical. You probably won't get the pan pipes, but even without them it's an almost compulsory item to do. The other thing I wanted to mention was itinerary and roads. Our itinerary was driven by my friend who had limited time, so we went pretty hard with long driving days like you. Sometimes the road tries to tell you that your plan for the day is not going to happen without risk of breaking something. On our visit to Mitchell Falls nearly half the people at King Edward River had broken gear, including us - shocks, chassis, trailer A frames, etc - from, I believe, trying to maintain the itinerary when the area roads were simply too rough to do it. Try to leave with a couple of spare days so that if you have to slow down on a couple of legs you can without blowing your plans completely. Your trip sounds great! You'll love it and want to return. Hope you don't have any breakdowns! My wife (60s) and I (70s) did the Gibb River Road in June last year and enjoyed it. Flew to Broome via Perth and hired a 4WD. First night in Derby B&B, second night Imintji (safari camp), third night Mt Elizabeth Station (very good but 30 Km off GRR)) fourth night Emma Gorge and then to Kununurra via El Questro. Tried to see the Lennard River Gorge but too rough and steep the last section and getting late. Perhaps give it a miss. If going into Barnett Gorge allow extra time as we could not find it and neither could a few others (bit of time lost here). We did the flight over the Bungles and Diamond Mine (good trip). Went back to Broome via the Great Northern Highway. Did the seaplane flight to Horizontal Falls from Broome. Perhaps it was the highlight of out trip. With regards to your trip, I would not let my wife drive by herself (even if she was younger) all the way to Darwin and from Adelaide to home by herself. If car breaks down she is at the mercy of any hoon who comes by. Don't think the police or RACQ would recommend it either as, ideally, need two to share the long driving which can be boring, monotonous & tiring especially the part you are doing by yourself. We did Melbourne to The Kimberley last June/July. We traveled from Melbourne via Katherine, did the GRR, into Broome (waste of time for a camping /bush holiday) back through the Bungles then had to return via Katherine because of the weather,(Tanami was closed) all up we traveled 11000 kms in 31 days with three kids aged 16, 13, and 9 and 1 tent. Yes it was quick but well worth it. You might think about not traveling the road up to Mitchell Falls and just doing a flight from Drysdale Station, although it is one of the best places to go to in Australia the road is one of the worst, the time it takes and the wear and tear on the vehicle and the cost of fuel all has to be taken into account. Wouldn't miss the trip for the world. Your itinerary sounds really well planned. I will one day do the Kimberley region so your plan was of value to me. I think I would be taking some items off the agenda to take time to really see these places or save my holidays up so I have more time. I seemed to get a bit stressed out reading how long you will be staying at parks, sleep, pack up and go. No offense meant, but from what I read from others is that you need to take time to really take in the beauty of the Kimberley. I would suggest you eliminate the big drive part of the trip. Do not go to Alice or Adelaide on this trip. My suggestion is to return via the Duncan Road or something similar. Do not rush the family through the Kimberley as it may be worth flying them home from Broome or Kununurra. All comments appreciated. Don't worry feeling your comments are negative or taken the wrong way. I think the beauty of this trip is that most accommodation doesn't need to be booked, we can plod along as we feel each day. Once we return I will put up our actual itinerary so others can compare it to their plans. We will see how we go and can leave Mitchell Falls off if we don't feel up to it. Same with Bungles, we may just arrange flights for myself and my husband if it's all too much! We have though, changed our flights back to Brisbane. We'll leave from Uluru now and save the kids an extra few days of boring driving down to Adelaide. It's not an option to leave Uluru out, as we won't be going anywhere near this area again in the next few years, and the kids have always wanted to go. If Tanami is closed we can skip Bungles and go the long way around, so that's not a big deal. Oh, and I've found someone to do the trip to Darwin with me to help with flat tyres!! Hubby has volunteered to drive back to Brisbane from Uluru...lucky guy! Thanks again for all tips! Again, I appreciate them all! Jackie, great to see you are well ahead of some people by going up with a good plan in mind. Having lived and worked up that way and working in the tour industry here is my 2 cents worth. The basics of around bachelor can be done easy in a day. Bachelor is only an hour out of Darwin so depending on your flights in you may gain some time there. Emma Gorge will take a bit to walk with the kids, and the road into ELG can be dusty and hard to see in the dark. Don't leave it too late! I would recommend the cruise rather than hiring a boat, worth it for the archer fish feeding. As for Mitchell, don't miss it. Enough said;)! Drysdale is a good spot to stop and use King Edward on the way out of Mitchell instead. Consider Mornington wilderness lodge, not everyone's thing but I love the views and the canoe trip there. Derby doesn't have a lot for the kids but the pier has nice coffee, and be there for the tide change. Middle lagoon is nice, but there is much more to the Cape area, well worth more time in Beagle Bay and the Kooljamin areas. Spring creek is okay, but don't forget China Wall etc in halls CK. Echidna chasm, ring the rangers and ask what time is best to view, sometimes it can be a little earlier or later. Tilmouth has nice camping, and some good art for sale. Book well ahead for the Alice campsite!! They can be a month out. The fee to get near Uluru was $50 per person last I looked. Make sure you check that out. 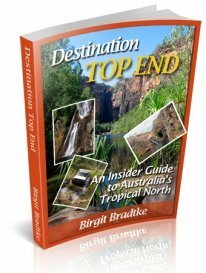 Get yourself a copy of the free camps or guides to camping in the NT/SA plenty of nice free spots if time fights against you. Woomera museum could be a good short diversion. I said earlier, my two cents do with as you wish! Thanks, worth more than 2 cents! I really appreciate your comments, lots of handy advice thanks! Agree with Litchfield. Birgit recommended this as opposed to Kakadu for a 1 day trip. We really wanted to stop at a few spots here and have a few swims. Appreciate your tips for attractions in Kimberleys. Hard to choose where to go, they all looked good. I ended up basing our itinerary on what I thought the kids would like; mainly swimming and short hikes, but threw in Mitchell Falls despite the long walk, as everyone keeps raving how good it is! I looked at Mornington Peninsula and it was on my original plan, but when I phoned them, they said they only take 25. I think that was the number of vehicles per night, and at that time of year we'd need to get there in the morning to get a site as they don't take bookings for campsites. With that in mind, and knowing we'd probably arrive later rather than earlier, I opted for spending a few days heading up to Mitchell Falls instead. With more time we may be able to wing it, but not this time around! Thanks for tips on Alice campsites. I just found out we actually arrive in Alice the same weekend as the annual show - bugger!! Without definite dates I'm hesitant to book somewhere, but we'll be at Tilmouth Well the night before, so it's only 200kms to Alice, maybe we could continue on a bit further to Uluru. Don't really want to stop in Alice anyway, just want to see the big rock! I'll look into that. Thanks for your tips, they were worth more than 2 cents to me, and I'm sure to other readers too! Pretty tight mate! Did 9 days over Gibb River Road and Fitzroy River Circle, missed Mitchell Falls and Cape Laveque so must return one day, before it changes. You will love this trip! Jackie, we were on the GRR 2 yrs ago and flew over the falls, as the road from Drysdale north was closed. That applied to all the professional tourist vehicles as well. We were told there were 26 cars waiting for mechanical repairs along the way to the falls. The big problem is the very high cost if you have to get a mechanic to come out to help you. A simple tyre repair can cost big $$$ if you have to get professional road service. Check road conditions before you go. We have done many trips and never had a flat tyre, but got a beauty on the GRR. It is a wonderful part of the world and I am envious of you doing it with your children, as when ours were young it was not possible. The combination of the red earth, green foliage, the blue sky and then that star studded sky at night, are some scenes I will never forget. Have a safe journey. Was just wondering how long people think we should plan to travel Melbourne to Darwin (as the focus) and then home through QLD? Might be able to squeeze 3-4 months of LSL.